Kinetic equations play a major rule in several applications where the multiscale nature of the phenomena cannot be described by a standard macroscopic approach. They are particularly useful in the study of emergent behaviors in complex systems characterized by the spontaneous formation of spatio-temporal structures as a result of simple local interactions between agents. Complex systems mostly appear in the biological and social contexts but can also be encountered in engineering, physics, chemistry, etc. Traffic phenomena are complex and nonlinear, depending on the interactions of a large number of vehicles. Due to the individual reactions of human drivers, vehicles do not interact simply following the laws of mechanics, but rather show phenomena of cluster formation and shock wave propagation, both forward and backward, depending on vehicle density in a given area. 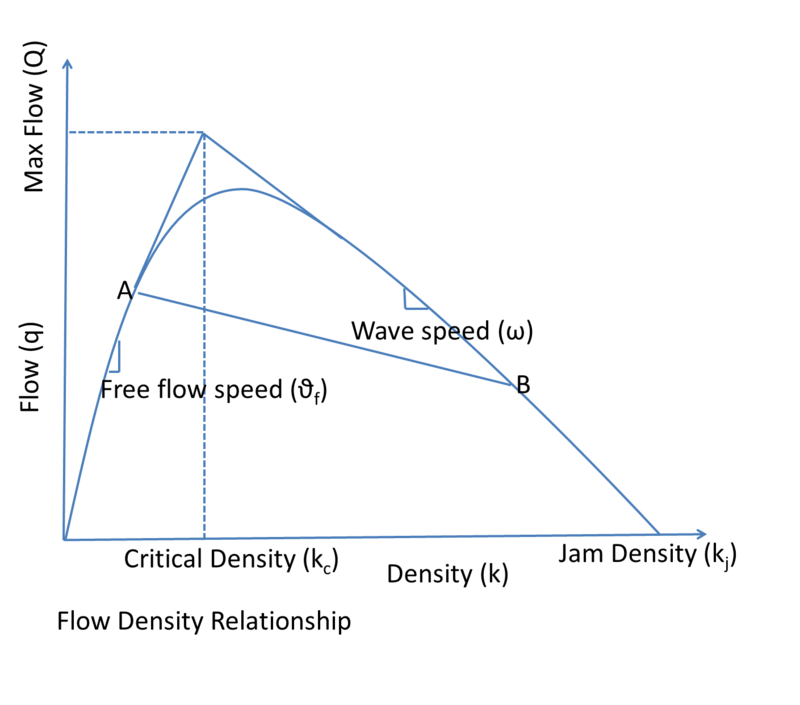 Most of the traffic models based on differential equations belong to one of the following three categories: microscopic models where each individual car is modeled by its own delay-differential equation; macroscopic models described by PDEs, typically systems of conservation laws, relating density ρ(x,t) and flux ρu(x,t); kinetic models where the car dynamic is described through a statistical point of view using a probability density f(x,v,t) of cars at position x having velocity v at time t which satisfy PDEs of transport or drift-diffusion type. Microscopic or follow-the-leader models are probably the most popular due to their structural simplicity and capability to describe correctly several traffic situations. At the opposite side of the spectrum we have macroscopic traffic flow models where only macroscopic quantities are represented. A major problem with macroscopic models is that they may present some inconsistency, like negative speeds, at second order (see C. Daganzo, Transpn. Res. B., 1995 [link]). A possible remedy to such limitation has been proposed by Aw and Rascle’s (A. Aw, M. Rascle, SIAM J. Appl. Math. 2000 [pdf file]). Kinetic models have shown to be capable to describe multi-valued fundamental diagrams, synchronized traffic and stop-and-go waves (see A.Klar, Wegener, J. Stat. Phys. 1997 [link], A. Klar, M. Günther, R. Wegener, and T. Materne SIAM J. App. Math. 2004 [link]). The local equilibria (fundamental diagrams) depend on the choice of the microscopic interaction rule howevere their analytic computation is in general very difficult. One of the major drawbacks of Enskong-like traffic flow models is that the interaction integrals are very demanding computationally. In  we have shown how to derive general kinetic models for traffic flows and how to solve efficiently the interaction integrals using Monte Carlo methods instead of direct deterministic discretizations. From the modelling viewpoint to reduce further the cost of the models there are two main approaches: to consider simplified kinetic models with a small number of velocities, the so-called Discrete Velocity models [2,3], or to replace the interaction integrals via differential operators like the case of Vlasov-Fokker-Planck models . In particular in  we have shown a way to derive Vlasov-Fokker-Planck models for traffic flow starting from the corresponding Enskog-type models. Another interesting problem when dealing with traffic flow is the case of the modelization process of road networks and the use of suitable optimization procedures to minimize congestion in the network. A.Klar, M.Herty, L.Pareschi, General kinetic models for vehicular traffic and Monte Carlo methods,Computational Methods in Applied Mathematics, 5, (2005), pp. 154-169. Herty, Michael ; Pareschi, Lorenzo ; Seaïd, Mohammed. Enskog-like discrete velocity models for vehicular traffic flow. Netw. Heterog. Media 2 (2007), no. 3, 481--496 (electronic). Herty, Michael; Pareschi, Lorenzo. Fokker-Planck asymptotics for traffic flow models. Kinet. Relat. Models 3 (2010), no. 1, 165--179. Most speculative markets at national and international level share a number of stylized facts, like volatility clustering and fat tails of returns, for which a satisfactory explanation is still lacking in standard theories of financial markets. Such stylized facts are now almost universally accepted among economists and physicists and it is now clear that financial markets dynamics give rise to some kind of universal scaling laws. Similar stylized facts, in particular the emergence of power laws, are present in wealth and income distributions of different countries as postulated more then one century ago by Vilfredo Pareto. Such overpopulated tails are a manifestation of the existence of an upper class of very rich agents, i.e. an indication of social inequality. Figure 1: Power laws in income distribution in USA, 1997. Pareto index is about 1.7. Showing similarities with scaling laws for other systems with many interacting particles, a description of financial and economic markets as multi-agent interacting systems appeared to be a natural consequence. This topic was pursued by quite a number of contributions appearing in both the physics and economics literature in recent years (see [here] for a recent collection on the topic). This new research field, referred to as econophysics, borrows several methods and tools from classical statistical mechanics, where complex behavior arises from relatively simple rules due to the interaction of a large number of components. Starting from the microscopic dynamics, kinetic models can be derived with the tools of classical kinetic theory of fluids. In contrast with microscopic dynamics, where behavior often can be studied only empirically through computer simulations, kinetic models based on PDEs allow us to derive analytically general information on the model and its asymptotic behavior. 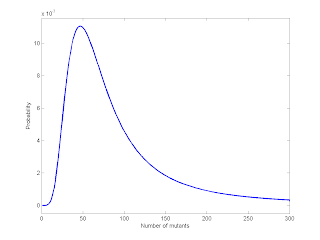 For example, the knowledge of the tails behavior for the income distribution allow to calculate characteristic features, like the Pareto index of the large-time wealth distribution, directly from the model parameters the distributions [1,2]. In particular the model introduced in  represent a very simple kinetic setting where emergence of power laws can be observed. Similarly the presence of fat tails in market returns is of primary importance, since it determines a posteriori whether the model can fit data of real financial markets. The introduction of kinetic equations for the stock market [3,4,5] permits to study the asymptotic behavior of the wealth and the price distributions and to characterize the regimes of lognormal behavior and the ones with power law tails. The mathematical rigorous approach that we introduced is complementary to the numerous theoretical and numerical studies that can be found in the recent physics literature on the subject and clarifies that certain peculiar observations made in ensembles of finitely many agents and in numerical experiments (like the apparent creation of steady distributions of infinite average wealth) are genuine finite size effects. S.Cordier, L.Pareschi, G.Toscani, On a kinetic model for a simple market economy, Journal of Statistical Physics, 120, (2005), pp. 253-277. L.Pareschi, G.Toscani, Self-similarity and power-like tails in nonconservative kinetic models, J.Stat. Phys., 124, (2006), pp.747-779. Cordier, Stephane ; Pareschi, Lorenzo ; Piatecki, Cyrille . Mesoscopic modelling of financial markets. J. Stat. Phys. 134 (2009), no. 1, 161--184. The description of emerging collective behaviors and self organization in a group of interacting individuals has gained increasing interest from various research communities in biology, engineering, physics, as well as sociology and economics. In the biological context, swarming behavior of bird focks, fi sh schools, insects, bacteria and people is a major research topic in behavioral ecology with applications to arti cial intelligence. Likewise, emergent economic behaviors, such as distribution of wealth in a modern society and price formation dynamics, or challenging social phenomena such as the formation of choices and opinions are also problems in which emergence of collective behaviors and universal equilibria has been shown (see  for a recent book on the topic and [here] for a web-based book on related topics) . Traffic flows and financial markets, described in the above paragraphs, are also fields where collective behavior may occour. Moving traffic jams and the stock market price are clear examples of such emerging processes. Here we report briefly on some selected research topics under study which involve different biological systems and concepts. These topics enlight the common methodological background: to identify similar modeling approaches, similar analytical and numerical techniques for systems made out of a large number of "individuals" which show a "collective behavior" and how to obtain from them "average" information. Swarming is a well-known behaviour in many animal species from swarming locusts to schools of fish to flocks of birds. Emergent structures are a common strategy found in many animal groups: colonies of ants, mounds built by termites, swarms of bees, shoals/schools of fish, flocks of birds, and herds/packs of mammals. In  we considered the numerical approximation of mean field models of swarming processes in three dimensions using Monte Carlo methods. Evolutionary game theory originated as an application of the mathematical theory of games to biological contexts, arising from the realization that frequency dependent fitness introduces a strategic aspect to evolution (see VirtualLabs by Christoph Hauert). Analysis based on evolutionary game concepts has provided some insight into the evolution of communication among animals. For example, the mobbing behavior of many species, in which a large number of prey animals attack a larger predator, seems to be an example of spontaneous emergent organization. In  we have studied a continous model for evolutionary game theory where the presence of mixed strategies may lead to additional stable sets. Emergent behaviors may also apply to the cells inside our bodies, like the rules by which cancer cells work together to build tumors or migrate through tissues. 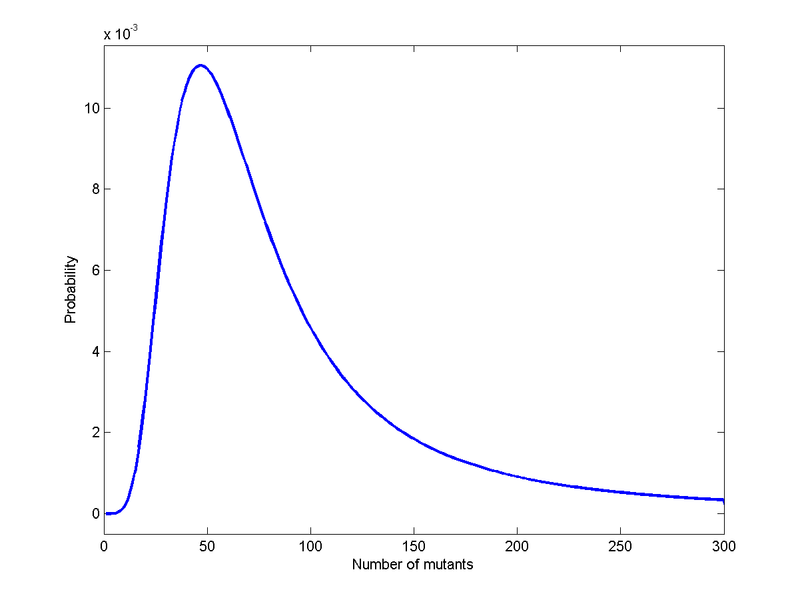 In this context in , using some of the tools of kinetic theory, we have considered the original Luria–Delbrück mutation problem (Luria, S. E.; Delbrück, M., Genetics, 1943 [pdf file]) and constructed PDEs model whose steady states are consistent with the original Luria–Delbrück distribution. Applications of the model to carcinogenesys are under study. Naldi, Giovanni; Pareschi, Lorenzo; Toscani, Giuseppe, Mathematical Modeling of Collective Behavior in Socio-Economic and Life Sciences, Birkhäuser Boston, 2010.